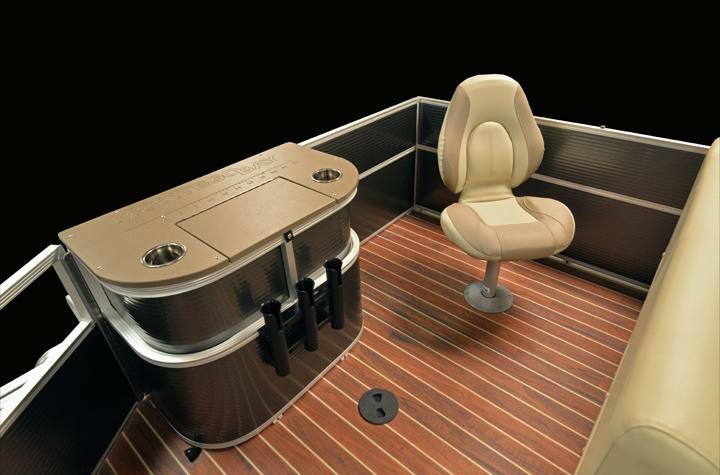 We have designed the perfect pontoon for the families that love to fish and cruise. 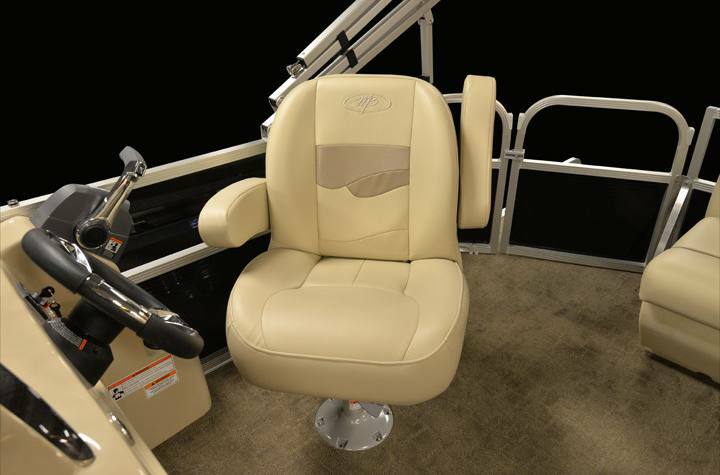 These luxury crossover fishing and cruising models come standard with 2 premium fish seats in the back along with a livewell and rod holders. 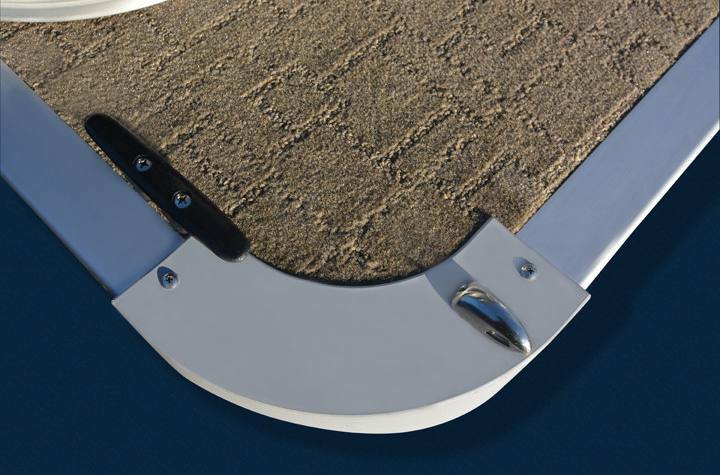 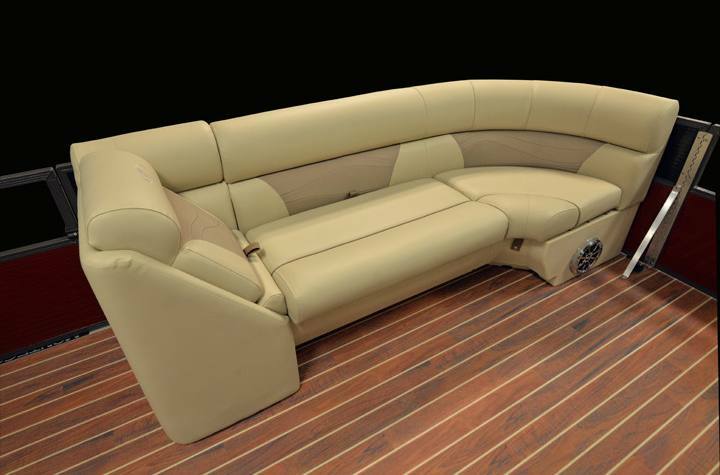 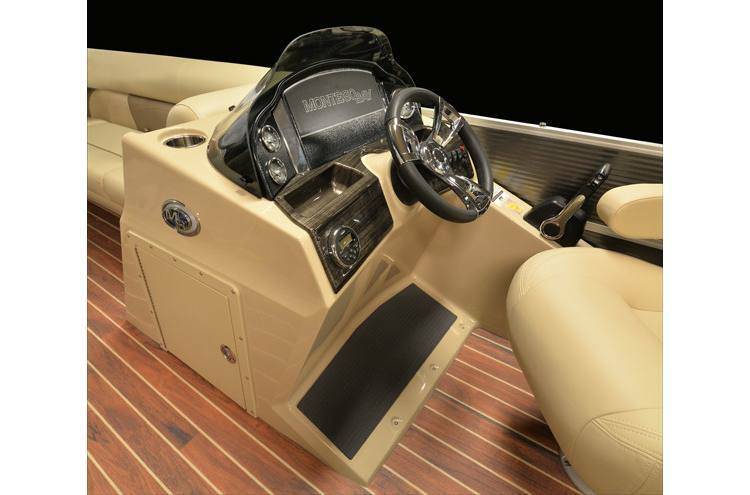 Rear entry with sculptured carpet, blue tooth stereo and comfortable helm chair are also standard features in these party barges. 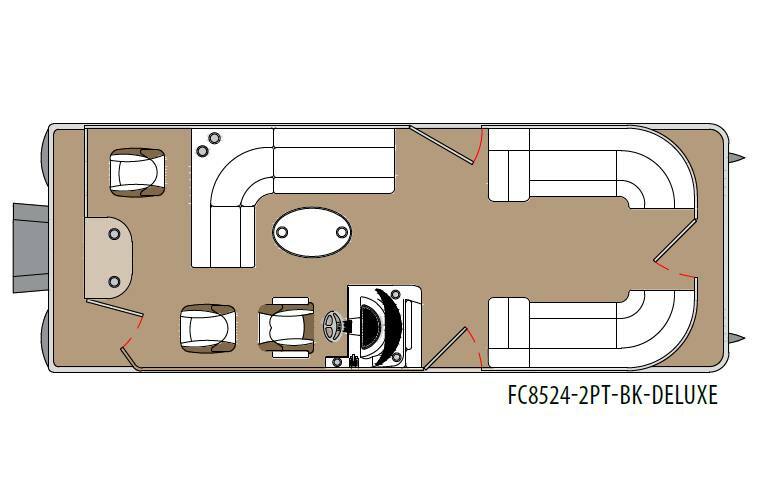 BIA Capacity/ : 2400 lb.